Perfect for week long stays or monthly rentals, this newly built home has everything you should need for a comfortable and stylish stay. Featuring many upgraded touches like natural hardwood floors on the main level, and new furnishings throughout the home. The kitchen has brand new stainless steel appliances, including a beautiful gas-range for the chef at heart. The kitchen also has granite countertops and a large granite kitchen island that will give you ample room for entertaining or preparing your favorite meal. If you feel like grilling out, located off of the kitchen there is a back patio wit a charcoal BBQ! Enjoy stunning Blue Ridge Mountain views from the double front porches. One is located off of the main level living room and the other is off the master. Pour a glass of wine, sit back, and enjoy a sunset! The three bedrooms are upstairs on the 3rd level. The master suite features a queen sized bed with it’s own en suite bath . The bathroom has travertine tile and dual sinks, so you don’t have to share. The second bedroom has a queen bed. The third has a full sized bunk bed with a twin on top making this room ideal for the kids or individuals. These two bedrooms share a full bathroom. This home also has a 1-car garage, and a spot for off-street parking in the driveway. Additional parking can be found on the street. This home has easy access to I-64 and is just around the corner from Martha Jefferson Hospital. The close by Pantops shopping center is convenient for grocery shopping and grabbing a bite for lunch. If you are wanting to go downtown it’s only 4 miles away! -Master bedroom: Queen sized bed with full en suite bathroom with dual sinks. Private porch with mountain views. -3rd bedroom:Full sized bunk bed with twin on top. -Private outdoor patio out back with charcoal BBQ! 7 pm: I’m blessed with the dificult decision of deciding where to go for dinner and whether or not to see a show. I opt for just the former and the hubby and I decide to visit the bar atC&O for drinks (and a cheeseboard … and I might be back later for their crème brûlée) before making our way to Red Pump for dinner dining al fresco. Their pizzas and salads are delicious and their décor only adds to their charm. Travel specialists at Andrew Harper have selected our property to be listed on Luxury Rentals by HomeAway, the worlds largest source for high-end vacation homes! Link: Travel specialists at Andrew Harper have selected our property to be listed on Luxury Rentals by HomeAway, the worlds largest source for high-end vacation homes! The drive to Crossfields, through the horse farms and countryside of Keswick, ‘has often been cited as one of the most scenic in America, ‘ writes the New York Times. Crossfields’ white fences invite guests in through the plantation gatehouse and along a landscape of rolling hills that hold the on-site farm. Inside, Crossfields offers the best of Virginia hospitality. The living room, designed with a palette of pale blues and stunning parquet wood floors, is large and filled with light. A Steinway grand piano sits in the corner, ready to be played and enjoyed. Combined with the formal library and a dining room that seats 10 guests, the gracious downstairs of Crossfields is the perfect space for entertaining. Guests at Crossfields often find that their favorite indoor spot may just be the Crossfields kitchen. The amenities for cooking and hosting are myriad, including a Sub-Zero refrigerator, Wolf Gas six burner stove and oven, a warming oven, wine fridge, and an outdoor gas grill just outside the back door. A butler’s door leads back into the dining room. A decorative indoor fire place, wide-screen television, exposed wooden beams, and gracefully-appointed seating areas create the ideal space for relaxing with friends and lingering over long conversations. The second floor offers five bedrooms, each with its own private en-suite bathroom. With the finest mattresses and linens, a night’s sleep at Crossfields is always a good one. The four guest bedrooms include three queen beds and a fourth bedroom with a set of twin beds. The master bedroom holds a gorgeous four-poster king sized bed, a sitting area by the decorative fireplace, mountain views, and a generous walk-in closet. The master bathroom includes his and hers sinks and an indulgent bathtub for relaxing at the end of the day. The grounds at Crossfields come with their own delights. The private outdoor swimming pool, located just outside the main house, sits on the well-manicured side lawn. The lawns and driveways surrounding the main house provide abundant space to host a wide range of events. 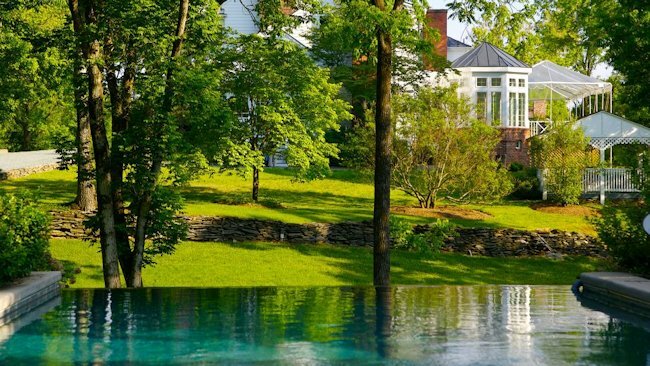 Though the estate offers a bucolic setting, Crossfields is located only 15 minutes east of Charlottesville, and is a short drive to an Arnold Palmer golf course, Martha Jefferson Hospital, a spa, the area’s best fine dining, and many local vineyards. Please call to inquire about reservations at Crossfields. Each bedroom has a private en-suite bathroom. In case you haven’t taken advantage of Restaurant Week, get out there this weekend to support local business and enjoy great food! Looks like Virginia isn’t just for lovers — it’s for happy people, too. The study, lead by a team of Harvard researchers, initially set out to find out why people still choose to live in declining cities. The researchers used national survey data, from sources such as the Centers for Disease Control, to track how citizens rate their lifestyle satisfaction on a concrete scale. Then, they crunched the numbers to find which cities were the happiest — and the most miserable. Some good news: Year after year, the vast majority of people surveyed say they are either “very satisfied” or “satisfied” no matter where they lived, whether it’s a booming suburb or a down-on-its-luck city. Even still, the study found that happiness levels often vary within geographic areas. Charlottesville, Virginia, is the happiest city in America, according to the study. The University of Virginia college town narrowly beat Rochester, Minnesota, Lafayette, Louisiana, and Naples, Florida. At the bottom of the list was Scranton, Pennsylvania, and judging by Jim and Pam’s reactions on The Office, we’re not surprised. Other unhappy cities include Erie, Pennsylvania, and Detroit, Michigan. But back to the original question researchers wanted to answer: Why do people still live in unhappy places, like declining cities? The study, which was published by the National Bureau for Economic Research, found it’s all about money. “The residents of unhappier metropolitan areas today do receive higher real wages — presumably as compensation for their misery, the study’s authors wrote. Plus, if everybody moved to Charlottesville today, the congestion and sky-high home prices would make it pretty miserable, very quickly. We’ve all been there. A place that’s clogged with so many tourists that the first reaction is “get me outta here!” Be that as it may, there are a few tourist attractions in the South that both bear and wear their title well – and definitely merit a visit. Muster the courage, block out the noise, and you’ll be rewarded with an enlightened experience of the South. Stay Charlottesville offers you the chance to stay in CVille’s finest carriage houses, apartments, historic homes and estates! You’ll find yourself in some of Charlottesville’s most charming city neighborhoods on a nearby bucolic farm or on a mountain overlooking a valley. Perfect for getting away from home for a few days without all of the expensive and exhausting travel! Bring the family for a stay in one of Montfair’s delightful cottages and spend your days canoeing, biking, fishing, hiking or just relaxing! Plan a fun weekend for the family at the July 26 and 27 Peach Festival at Carter Mountain Orchard! Featuring games, contests, hayrides, great food, wine tastings (for the adults) and much more, one day of fun just won’t be enough. Stay at this beautiful Boutique Hotel in CVille, adjacent to the University of Virginia’s “South Lawn,” and spend the day wandering The Corner, eating good food and seeing the sights! From July 7-August 3, you can choose from more than 200 events and performances highlighting South American music, dance, theatre, film, poetry, literature, history, food and wine. Bring the family and have a great time at the Wintergreen Resort! Bring your tents and camp on the banks of this historic river. Here you can spend your days relaxing or pick any of a number of fun activities. Don’t miss the chance to take a canoe, kayak or tube out onto the river! Bring the RV and the kids to this amazing vacation spot where you can get a glimpse of some of the amazing caves we have here in Central VA. If you get tired of the caves, you can always relax at the pool, check out the game room, fish at the catch and release pond or try one of the nature trails! Plan some fun-time for the family on the weekend of July 31-August 2. You can see animals, exhibits and pageant queens, enjoy entertainment for the whole family and have some great old-time country fun! Comfortably sleeping up to 8 people, Birdwood North is the perfect getaway! It’s ideal for your wedding party, or that weekend getaway with your friends who are wanting to explore all the wonderful wineries the surrounding area has to offer. Located directly across from Birdwood Golf Course, and right beside Farmington Country Club the location doesn’t get any better. It’s only a few minutes drive to UVA or Downtown, so you certainly have the best of both worlds. This newly built home has an inviting open floor plan that makes you feel instantly welcomed! It’s elegant appeal is sprinkled throughout with it’s many marble counter tops, high-end commercial appliances, and luxury bedding in every room. Everything about Birdwood North is well appointed, and is sure to delight the senses. Cheers Check-in: Monticello Wine Tour & Coach Co. 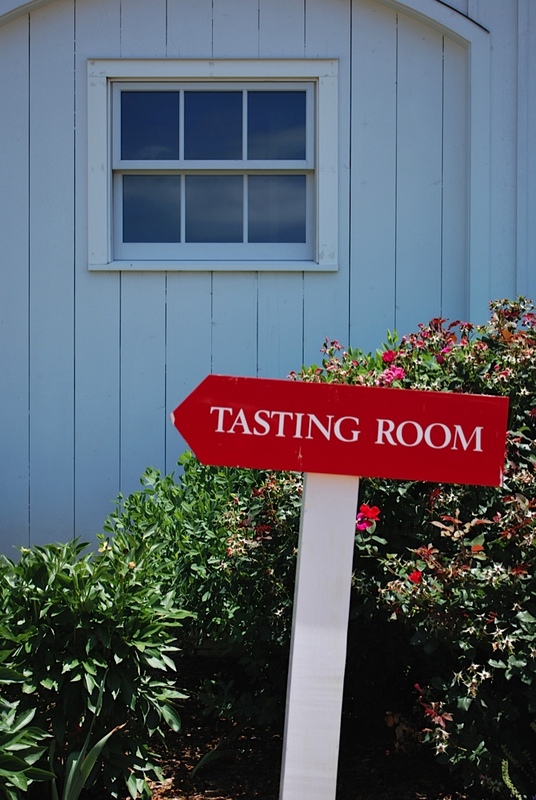 If you’ve ever taken a ride through the picturesque surrounding counties, you’ve probably enjoyed one (or more) of the many wineries, cideries, and breweries in our area. And you’ve probably pined for the day you could be chauffeured along the countryside as you taste and sip to your heart’s content. 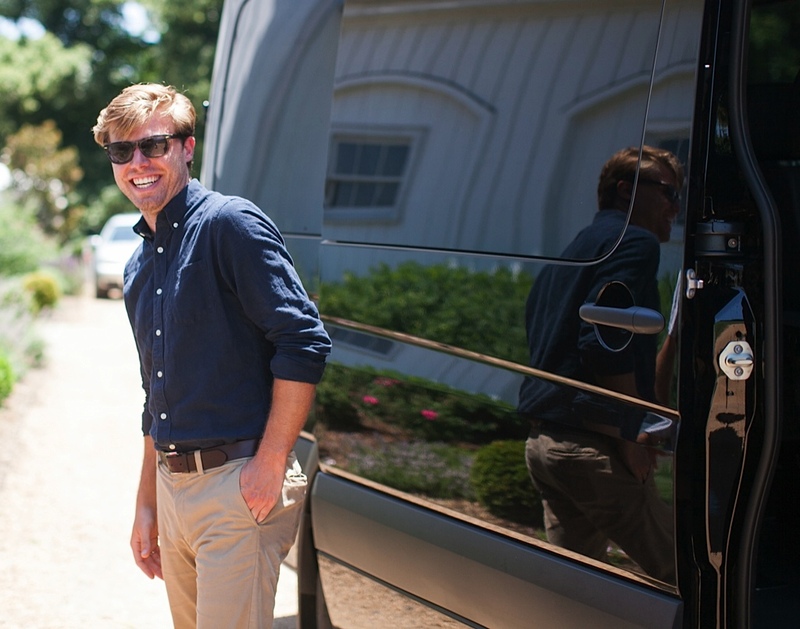 Introducing Monticello Wine Tour & Coach Co., a new, local company focused on creating tailored wine tour and limousine experiences. Justin Stone, Operations Manager of Monticello Wine Tour & Coach Company (MWTCC) and local wine extraordinaire, recently shared an inside look at the company. Stay tuned for an exciting pop-up event with MWTCC, including a Cville Niche giveaway for the event! When and why did you decide to launch the company? Give us a brief history of the company. From conception to actuation, talk about the founding of the company. The company began to come together early last fall when I met with its principle owners over a couple lunches. [Bizou and Rapture are great incubator locations; always order the specials.] I have been floating about our area’s wine and food industries since my years at UVA, always harboring ideas of how to make a living doing what I enjoy most. When Travis Wilburn and Bill Chapman pitched launching a wine tour and transportation company as a natural extension of their existing ventures – Stay Charlottesville and Old Metropolitan Hall – I immediately began planning my departure from the large company I worked for at the time. Travis had long been holding onto the idea of a tour and transportation business, waiting for the moment to get it rolling. By March 2014, they had everything in order. We launched in April. 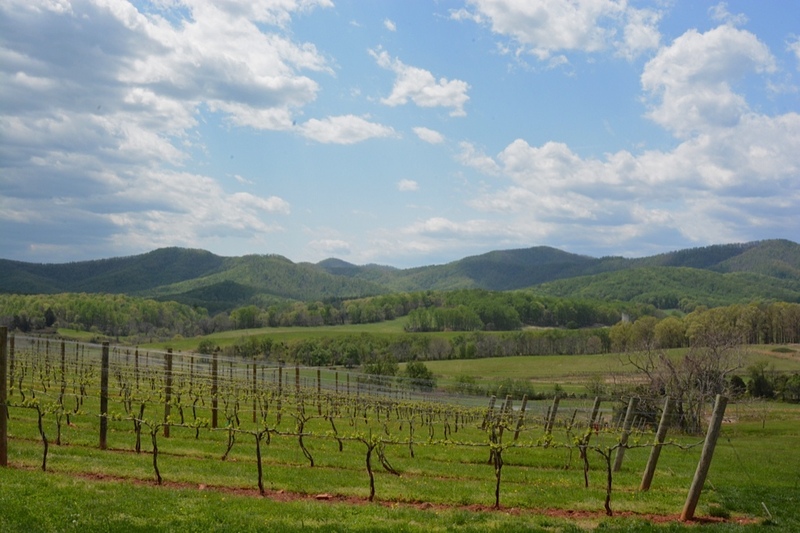 Describe Monticello Wine Tour & Coach Co. in 10 words or less. Moving beyond standard limousine services; creating personal, tailored, localized experiences. What about Cville and the surrounding area makes it ideal for the company? There is more Virginia wine, farmhouse cider, and craft beer flowing here now than any other post-prohibition period. In addition, there is a strong collaborative community of producers and an ever-growing population of visitors and locals that appreciate what is coming out of our region. It is more than ideal to be here; it just makes sense, and is a lot of fun! Let’s talk about this fleet. What can people expect from their countryside ride in style? “Countryside” this region certainly is; there are some back-road wineries and event spaces out there! As a tour company we believe it is not just about the destination but also about the journey, especially around Charlottesville. When riding with us guests can look forward to a laid back sense of luxury, always with a personal touch from our gregarious guides/drivers. We will keep you safe, keep you laughing, and keep you drinking. I do not pretend to be a “car guy,” but so far we’ve brought great vehicles on board. They are modern and suit the area we drive through. I am excited to see what we bring on next. How have you seen the company grow, including the overall participation and excitement from local wineries? Well, it has been less than a season. This year’s grapes are older than we are but like them we are coming in nicely. 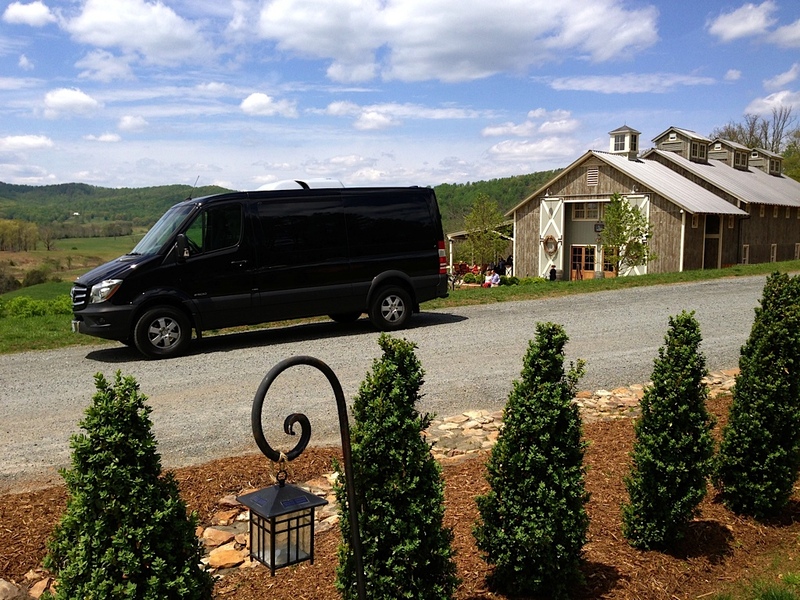 Monticello Wine Tour & Coach benefits from a diversely experienced staff across the local wine, event, and accommodation industries. We all have deep roots here and enjoy sharing what we know. The area wineries, cideries, breweries, and event venues have been supportive of our services and style. It has been a busy spring with tours and transfers every weekend but I am always happy to take more folks out. It is scary to think how many people drive themselves every weekend, I wish more would give us call. I know everyone in the industry would agree! What are some of the options for the standard tours (3-4 wineries/breweries/cideries, 5 hours)? Can a group craft a custom tour, or are they set packages and routes? Sounds like you’ve done this before. Yes, our tours are usually 5 hours, allowing us to visit 3 – 4 spots. With over 45 wineries, cideries, and breweries within the Monticello AVA to visit, groups can go almost anywhere they’d like. Now whether it makes sense or not, that is where we get to come in. I think I have driven just about every loop there is and continue to taste the area’s libations. I like to take this knowledge into each itinerary while working with our guest to create a tour that intrigues them. We are working on set packages but we will always be able to craft tours and transfers to our guest’s liking. What’s next for the Monticello Wine Tour & Coach Company? I am hoping for a fully booked summer and fall; we are well on our way! 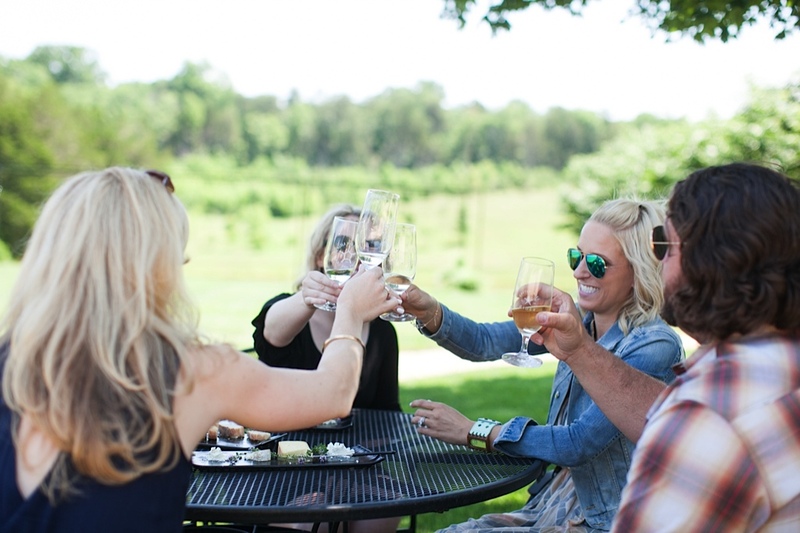 You know, we’ve started successfully with our private wine tour offerings but Charlottesville’s wine industry is so collaborative and social; we are in the midst of organizing a more communal wine tour experience. By occasionally offering individual seats on our vehicles instead of private bookings we hope to provide a chance for people to meet and taste wine collectively in a fun and social setting. Look for the first one to kick of later in July. Check out what Luxury Magazine has to say about Charlottesville! Orbitz.com suggests the following top five destinations every American should visit based on their natural beauty, historical value, educational draw, and overall appeal as a vacation hot-spot. What would the Fourth of July be without a tribute to our forefathers? Home to three of the Founding Fathers to become President, Charlottesville offers a number of opportunities to relive the spirit of our past. Visit Monticello, Thomas Jefferson’s home, or enjoy some true American cuisine at Michie Tavern (established in 1784). Home to America’s tallest man-made monument, the Gateway Arch, St. Louis offers a multitude of historical attractions from the historic Old Courthouse to the Museum of Transportation. Adventure seekers can tour the Jefferson National Expansion Memorial and get a glimpse of where Lewis and Clark set out on their westward expedition or take in Forest Park, home to the 1904 World’s Fair and one of the largest urban parks in the country. Situated in the northern reaches of Washington State’s Puget Sound, the San Juan Islands are a unique archipelago of over 450 islands, rocks, and pinnacles. Accessible by ferry or plane, and a quick day-trip from Seattle, this is one of the most beautiful, untouched areas of the Pacific Northwest. While sixty of the islands are populated, many are occupied by a scarce amount of houses, allowing visitors to take in the natural beauty that surrounds.